Provide comfort for the family of Marvin Penix with a meaningful gesture of sympathy. In addition to his parents, he is preceded in death by a brother, Marty Keith Penix; a sister, Margaret Penix. Marvin proudly served his country with the United States Navy and Kentucky Army National Guard; he was also a retired radio technician with the Kentucky State Police. He is survived by a son, Ian (Stephanie) Penix of Burlington, KY; two daughters, Bethany (Wesley) Casey of Lancaster, KY and Kayla (Jason) Waltz of Morehead, KY; the mother of his children, Alice Penix of Morehead, KY; two brothers, David Penix and Jerry Penix both of Burton, MI; four sisters, Jessie Norcross of Summerville, SC, Teresa Robinson, Anna Penix, and Nancy K. Penix all of Burton, MI; and nine grandchildren. Funeral services will be Thursday, January 3, 2019 at 1:00 p.m. at the Sparks Funeral Home in Grayson, Glen Stephenson, minister. Burial will follow in the Smith-Claxton Cemetery in Greenup County. Visitation will be Wednesday, January 2, 2019 from 6:00 p.m. – 8:00 p.m. and after 9:00 a.m. Thursday at the funeral home. 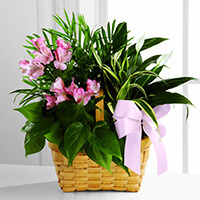 To send flowers in memory of Marvin Lee Penix, please visit our Heartfelt Sympathies Store. Sarah Bryant sent flowers to the family of Marvin Lee Penix. To all Marvin's friends and family, we send our sincere condolences and prayers from Mississauga, Canada to you all. Rest In Peace Marvin. To Bethany and family, I hope you are surrounded by much love at this time. You are all in my heart. Sarah Bryant purchased the The FTD Living Spirit Dishgarden for the family of Marvin Penix.